One ounce of practice is worth more than a ton of prayers. The wise words of Mahatma Gandhi are difficult to challenge. After all, each of us understands what is true and that only excuses for doing nothing. Without taking any action it is impossible to achieve anything. 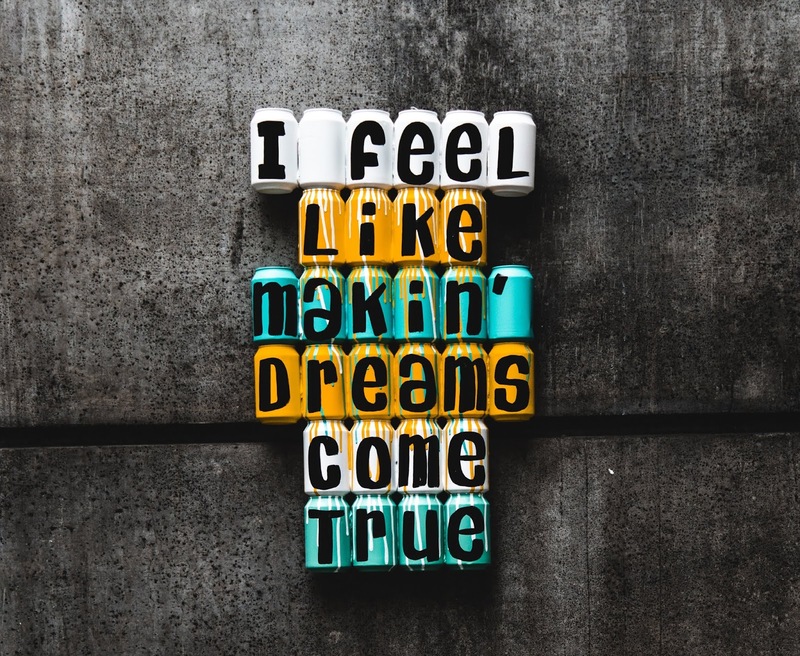 In the End, I will provide you with Effective Action Tips which will surely help you but for that, you have to understand the rest of the Article first. You can think about it endlessly, consoling yourself with your own fantasies, you can re-read many books, learn from different teachers, but you don’t go a bit closer to your cherished goal. Alas, it is. Perhaps it will seem to you that here it is, a little bit more and you will reach it. But in reality, when you look back, you will realize that you didn’t really do anything and didn’t make any progress. And the sooner you destroy the illusion that you can achieve anything without doing anything, the better it will be for you. What prevents us from acting? So, to really achieve any results, it is better to know yourself and your desires, you need practice. Books and study are also very important, but only as half of the process. Knowledge must be embodied, otherwise, they are simply useless. Do you have a goal? How? Still no? Well? then you should start exactly with the goal. In this case, you just can help thinking activity: analysis, knowledge, experience. However, the ability to think correctly is a matter that requires patience, as well as the ability to control oneself. How do we usually think? True, by inertia. What is thought about and think about? Like in a dream. We do not own our thoughts. They rush in a continuous uncontrolled stream and make us react to them. Thus, our energy is wasted on every, not afraid of this word, nonsense. We argue with ourselves, we scold ourselves, we ourselves and the child and the adult, we fear our own fears. During the day, we lose a lot of roles in our heads, take offense at ourselves, and so on. We are drowning in the swamp of our own thoughts, from which our reality acquires precisely those features that we give it in our thoughts and fantasies. We project our reality in which there is no power left to act. You must learn to save your energy and correctly direct it, to move from mechanical to conscious thought. The best way to do this is to overcome internal resistance by staying in the present moment. It really works. After all, being in the present, we do not worry about the future. This does not mean living one day, as you might think. It only means that you will no longer be afraid of future consequences, as well as past failures. It is these two factors that deter people from performing any actions. Focusing on the current moment allows you to express yourself at your best, to understand what you really want. In the moments of inner peace, the old barriers that you could not overcome are erased, lightness appears, the ability to act spontaneously. The ability to act from now on is not as difficult an action as it may seem. Initially, you will be required to make some efforts, but soon it will become a habit and you will have no difficulty in returning yourself to the “here and now” state. You have the right to set any goal for yourself, but the success of its implementation will depend on how this goal gets on with your internal values ​​and attitudes. Wishing to earn $ 100 million ordinary people simply deceive themselves. Being on the path of fulfilling a goal, he will unconsciously go against it, since he himself does not believe that this is possible. Such a goal will take away a lot of energy from you, but you still will not get any pleasure, even if you reach it. As a result, you will understand that this is not what you wanted and do not understand at all why you put so much effort into this. Why are you reading this article? Yes, because you still have not decided to act! But nothing, you can start right now without reading it out. No one will be offended. Right now, do what you have been thinking about for a long time. Draw something, run, make the necessary call, anything. Take action. Yes, it's that simple. Just do not think before that. You’ve already thought a hundred thousand times. 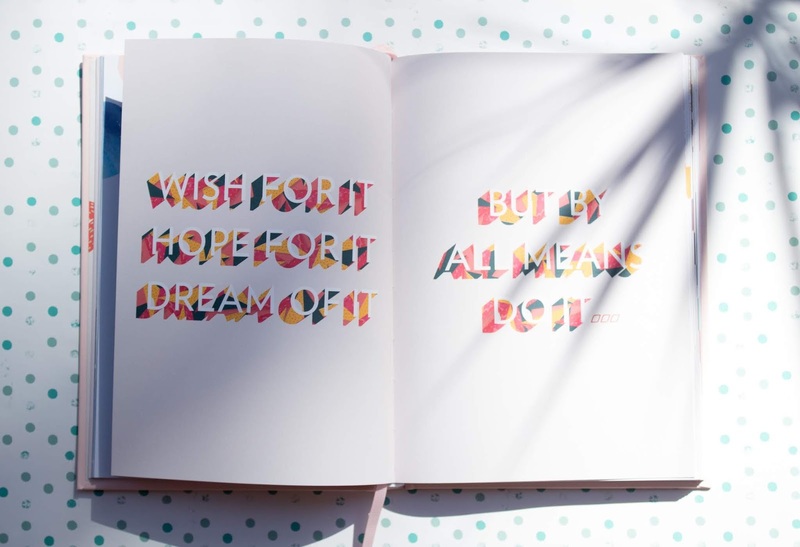 If your action requires a different time or presence at another point of the coordinates and is now impossible at all, then stay in place and read the following tips that will help you move from thought to action in the future. · - Get mad. Anger is one of the most powerful energy resources of a person. Get angry at yourself, such as looseness and crybaby. Yes, this is part of you, but you don’t have to follow her plan. · - If you take action today, now, then in a month you will see the result, and if you put it off until tomorrow, you will never see the result. Forget about tomorrow, it is not. There is only now. · - "Important" things can wait. We can come up with an infinite number of very “important” cases for ourselves, so as not to get down to what we have planned. And if you think how important what you are doing now? · - Do not expect that the moment will come when everything will start to be done by itself or when you will begin to see clearly. External signals are an illusion, your internal signal is what matters. · Having defined the goal, make a detailed action plan and keep it constantly in front of your eyes. A lot of work needs to be broken up into many small, really doable pieces. · - Mark your success, praise and reward yourself for small achievements. · - Surround yourself with a society that will keep you motivated. Usually, these are people who have achieved the desired. Often they are not averse to sharing their energy and knowledge with others. · - If your enemy is perfectionism, you will have to fight him. He takes a lot of energy, but often does not benefit. As long as you think carefully for the tenth time, more nosy personalities will bypass you just that way! It's never too late to take action. The main thing is to do it now. So my dear Friends, Please share it with your friends. Maybe someone needs this more than you. Small Act of Kindness may help others and as well as it comes back to you too. You can see the sharing buttons on the screen. Thank you for Reading...Good luck. Entering inside is the way to know how to move out useful. Vipassana meditation is an opportunity in this sense. A humble and concrete deepening of what is experienced in a Vipassana meditation retreat, for whom and What are the Benefits. Vipassana meditation is a traditional Buddhist meditation technique that originated in the sixth century BC. 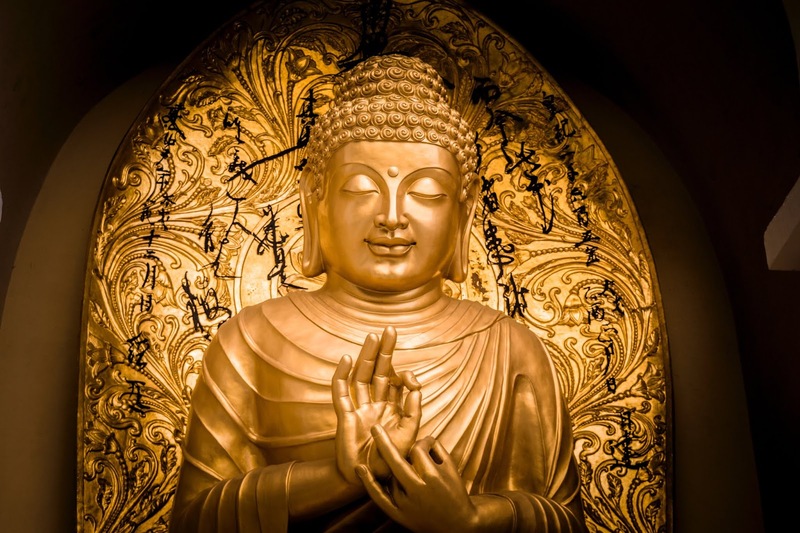 Its purpose is to discover our true nature, as the Buddha did, to get to know each other again and understand that our happiness does not depend on anything else but ourselves. In the West, it has become very popular under the name of "mindfulness". "Vipassanā" is a term pali (an ancient language closely related to Sanskrit) which means "to see clearly" or "to look inside". It is one of the oldest meditative techniques in the world, deriving from the Theravada Buddhist tradition. It was practiced 25 centuries ago by the Buddha, who claimed that through it he had rediscovered an even older practice. After his edification in 528 BCE, the Buddha went through the rest of the 45 years of his life encouraging the exit from suffering. Vipassana is essentially the essence of these precepts: the teaching of the Buddha is known by the general term Dharma. For five centuries Vipassana meditation has helped millions of people in India, the home of the Buddha. This era saw India prosper under the reign of Emperor Asoka (273-236 BC) who unified the country and began an era of peace and prosperity. Asoka also sent Dharma ambassadors to all neighboring kingdoms (including what became Myanmar in modern times), thus spreading both the practice and the words of the Buddha. However, after about 500 years, the practice of Vipassana had almost disappeared from India. Fortunately, it was kept alive by a continuous chain of meditation teachers in neighboring Myanmar (Burma) to the present day. In our day, Vipassana meditation has been reintroduced in India and throughout the world mainly thanks to the work of SN Goenka, a Burmese Indian industrialist who learned the Vipassana technique from Sayagyi U Ba Khin, a famous lay teacher the first to teach Westerners in English. U Ba Khin named him heir in the Vipassana technique teaching in 1969. Vipassana practice The cardinal principle of this meditation is "to see things as they really are". 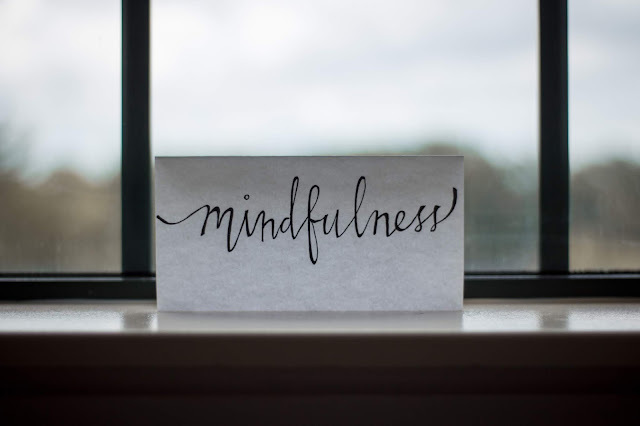 Vipassana focuses mainly on the body and on many aspects of it, from posture to breath up to the sensations, and also on the mind thanks to contemplative actions. Vipassana meditation is a rational method of purifying the mind of all that causes anguish and pain. This simple technique does not invoke the help of a god, spirit or any other external power, but relies exclusively on our efforts. Vipassana is an intuition that dissolves conventional thinking to arrive at perceiving mind and matter as they are: impermanent, unsatisfactory and impersonal. The constant practice gradually purifies the mind, eliminating all forms of material attachment that have accompanied us in our lives. As attachment is eliminated, desire and illusion are gradually diluted. The Buddha identified these two factors, desire, and ignorance, as the greatest roots of suffering. When they are expelled, the mind will touch something permanent. That "something" is immortal and supermundane happiness, called Nibbana in Pali. Vipassana meditation is about the present moment and to foresee staying in the "here and now" for as long as possible. It consists of observing the body and the mind with bare attention. The word "vipassana" consists of two parts. "Passana" means to see, that is, to perceive. The prefix "vi" has different meanings, one of which is through. Vipassana's intuition literally cuts the curtain of illusion in the mind, giving a kind of vision that perceives the individual components separately. The idea of separation is particularly relevant in this meditation, because of intuition functions as a mental scalpel, differentiating conventional truth from ultimate reality. By "seeing through" we mean a process that involves us throughout the day and not limited only to the moment in which vipassana meditation is practiced. In other words, we need to be aware of what we are doing at all times, trying to learn all the sensations that come from our mental activity. This attitude is essential to understand when we are prey to negative emotions, which can be fear, anger or moments of blind impulsiveness. When we let go of these sensations, our body modifies the breath, and this is a clear indication that something is wrong. Interpreting this condition when the body gives notice of it is the pillar on which the Vipassana is based: we can take control of the emotions that have the upper hand over our mind, reduce them to mere sequences of facts without suffering overwhelm, and actually make them disappear every negativity and mental impurity that afflicts us. Improve yourself, overcome the stagnation of our thoughts, evolve: these goals can only be achieved by focusing on the here and now, without distractions of any kind. And the practice par excellence that allows us to achieve this state of mind is precisely meditation. However, the biggest obstacle for newbies is often the inability to start off on the right foot due to the difficulty of concentrating for long periods: the benefits of meditation are achieved only through constant practice, which over time leads to a greater mastery of oneself and of the activities of the mind. But what if you can't overcome the concentration barrier? Precisely because meditation is not an occasional practice and needs constant and daily exercises, even for just a few minutes, having a guiding voice is extremely useful for keeping the attention focused on the present moment - for this reason, guided meditations are gathering more and more consents. If you have no way to attend a meditation course, using an audiobook is an incredibly practical, economical and effective alternative to promote concentration, and is a useful resource both for those who are approaching meditation and for those who meditate for a long time. time. The audiobooks that we offer in this guide contain basic and more advanced meditation techniques, to support the journey towards a more lucid mind free from the chains of anxiety and stress. Who wouldn't want at least once a day to break away from the whirl of thoughts that fill our minds? The audiobook Meditation - The Detachment of Paul L. Green is very useful in this sense, thanks to the methodology derived from the yogic meditation. Through detachment, one can verify how vain and illusory certain thoughts are and consequently learn to leave them aside. In this way, we will come to a contemplation of what surrounds us with a harmonious and calm mood. The technique of walking meditation is able to transform a walk in nature into a moment of growth and deep awareness. Meditation-Walk of Silvia Roggero helps to more easily reach the ideal mental state to practice this meditation technique. This audiobook, lasting almost 16 minutes, should be listened to while walking in nature. In this way, a simple walk in the park or in a forest can become an experience of well-being and transformation. 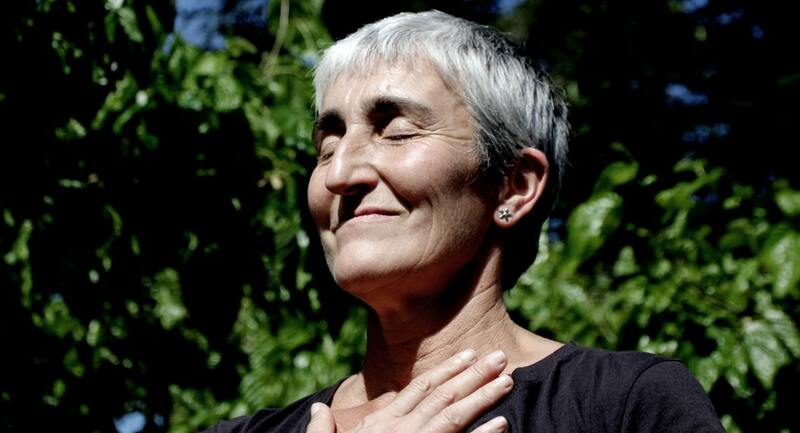 In fact, Silvia Roggero's meditations are able to make us connect with the deepest and wisest part of ourselves. So, My Dear Friends, You must be searching about What are Backlinks and Types of Backlinks available, this will surely complete all your basic questions related to this. Every website has a plethora of links. those may be labeled in unique methods, including the form of content that would be text or photograph or video. links also can be labeled as according to the motive they serve. There are 4 kinds of backlinks(hyperlinks) inside the context of purpose. these are internal and external, incoming and outgoing. The latter also is called inbound and outbound backlinks. inner and outside links are those which might be posted on the website and respectively redirect the target audience to pages on the internet site or other websites. 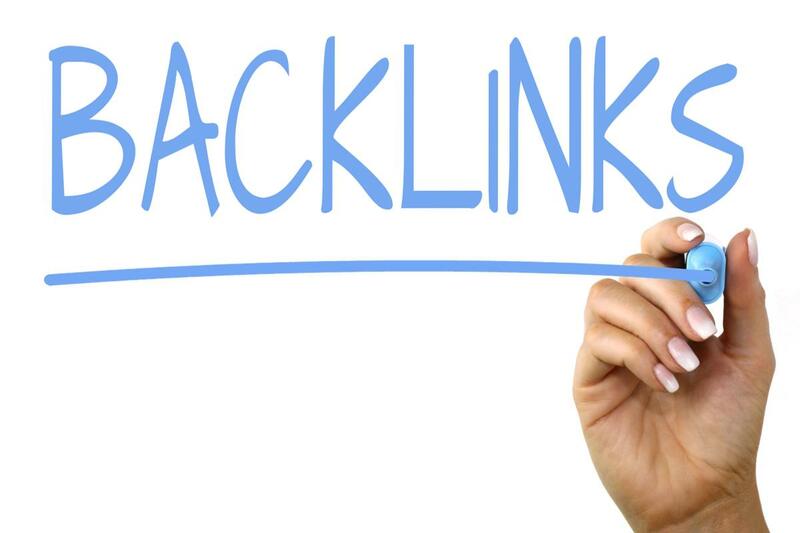 Outbound backlinks are those that specifically redirect users to different websites, which might also or might not be owned by the identical webmaster or be an affiliate website. Inbound links, additionally known as inbound links, are posted on different websites wherefrom the target audience is redirected to the linked website or web site. Inbound links and inbound backlinks may be deemed to be the equal however they're now not same. All inbound hyperlinks are successfully one-way links but they are not always intentional. for example, if the proprietor of an internet site or an enterprise is putting the oneway links or inbound links on unique websites at spread across the internet, inside the shape of commercials and different contents, then those are intentional and tasked for specific functions along with search engine optimization or to generate greater traffic. If the inbound links aren't published or located intentionally, then they're no longer always satisfactory one-way links. these links may have an unsightly impact. It is truthful to infer that all inbound hyperlinks which might be intentionally placed are appropriate inbound links. All one-way links that are not intentionally placed are inbound hyperlinks that could or might not be suited. this is why it's far imperative as a way to discover who links in your weblog. You need to realize this so you can make the most of the pleasant, proper or powerful links and do away with the unpleasant or unwanted links. you could no longer have to do anything about accidental but useless inbound links in view that they're not creating a difference, until there may be a purpose to worry about an unfavorable effect. Back-links are beneficial whilst they're placed on trusted, relevant and authoritative web sites. The motive of such inbound hyperlinks is to establish trust, to have an expanding presence across the net and to lure extra humans to test out the blog. these back-links have an instantaneous impact on search engine optimization and additionally the internet site rating of a weblog. You do no longer have to make investments additional time and effort to discover how deliberately located backlinks are acting on unique sites. You have to find out who has linked for your weblog without your understanding. right here are the easy motives why you should do that. • You need effective one-way links. The number of one-way links you have and the way all the ones inbound links are operating will decide your method. hyperlink constructing is at the crux of SEO and internet site ranking. unless you know wherein all you have links placed redirecting users for your weblog or certainly bringing up a number of your posts, you can't evaluate your link building strategy and hence your complete technique to SEO can be ineffective, even inconsequential. • simply as you should be aware of the useless and undesirable inbound hyperlinks, you have to also find out the more powerful and as a result effective back-links. locating those and learning extra approximately them will enable you to conceive a method that similarly explores similar back-links. An approach that has by accident or expectedly labored need to be endured. • finding out who links to your weblog is important to evaluate and analyze your success or failure. The content in your weblog may be super or it could be observed missing with the aid of some on your audience. you may or might not get many organic back-links. You could to paintings absolutely difficult to get some inbound links. how many human beings are relating to your weblog and in fact bringing up the content on your website the usage of outbound hyperlinks on their websites will let you know how popular your statistics is if it's far reliable and in case you are emerging as an emblem. Crawling the net will effortlessly tell the difference between natural and inorganic emblem mentions in due course of time. therefore, the objective is to discover extra web sites, corporations or folks who will voluntarily cite your weblog as a reference, source or recommendation at the same time as publishing their contents. There are 10 days of Vipassana meditation for 10 hours a day and a complete lack of communication with other people. I previously attended Vipassana Meditation 10 Day Course already. The second time the impression is calmer, and the results are more interesting. Now I will explain what it is, how it works and how it can be useful. Feedback from people after the first course is: “This is an incredible experience! I became kinder / calmer / understood everything! It will change your life! You have to try! ”. Compare: “I started running in the morning, I have been running for 10 days already. I feel awesome! Mood, performance, and sleep improved. It will change your life! You have to try! ” Thank you, I'll decide myself somehow. First impressions are always the same. I will give an analogy. Running is an exercise for the body. You are told: "Run for 15 minutes, watch your breathing and pulse." Such exercises develop legs and breathing. There are trainers and courses for running. Vipassana is an exercise for the mind. You are told: "Sit an hour and a half with your back straight, do not move, observe the sensations on your body, but do not react to them." Trains balance of mind and understanding of things. There are teachers and training courses for this technique. On the course, the technique is explained in terms of the ancient Pali language. It’s understandable by experience, and it’s hard to explain to another person. So I took the paper, pen, and Wikipedia and in 10 hours I restored the process from a medical point of view. It will be Difficult so get ready. There are the body and sense organs: sight, hearing, taste, smell, touch, vestibular apparatus. Sense organs register irritation - this is sensory information. The brain perceives it as sensations. The sensation is the mental reflection of the properties of the external environment, which occurs when a direct impact on the senses. Each sensation of the brain almost automatically gives emotional coloring - there are feelings and emotions. The feeling is a process that reflects a subjective evaluative attitude to real or abstract objects. Emotions - the same feelings, but not to the object, but to the situation as a whole. Next, I use feelings and emotions as synonyms. The brain reacts not only to sensations but also to its own emotions. For example, someone accidentally scratched your car, and you got angry. The event has already passed, but you are angry for another 8 hours. The same with fear, sadness, joy, interest, guilt, pleasure. It turns out a chain reaction of emotions that do not give a sober look at the situation, realize it and survive. According to one of the definitions, the experience is a special activity on the restructuring of the psychological world, aimed at establishing a semantic correspondence between consciousness and being, whose overall goal is to increase the meaning of life. Simply put, experiencing is the awareness and accumulation of experience. But this process starts only when the emotions subside. If something distracts, the emotion will be pushed into the subconscious and will remain there as a psychological complex. - Yes, how much, @ # $% ^, is it possible? !! Sensory information → is perceived in the form of sensations → feelings and emotions appear in response → a chain reaction of experiences → starts, which ends with the accumulation of experience or the displacement of a problem into the subconscious. The more experienced and conscious inner experience a person has, the better he understands the situation and acts more intelligently. To get this experience, you need to stop multiplying new emotions and calmly deal with old ones. This is what I do during meditation. 1. Get rid of external irritants. 3. Watch sensations and emotions, but do not respond. 4. Allow the brain to remember, realize and experience all that it cares. Go to the meditation course, where there will be 10 days of rest. The schedule is known, there is no need to keep track of time, there is no need to take care of food, there is no need to remember about work either, there is no communication with the outside world, you cannot talk inside, you cannot read and write, and the meditation itself takes place in a quiet dark room. Give him a suitable object for concentration. Breathing is best suited - to observe, but not to try to control it. And at the same time keep your back straight. If you get upset and bend your back, after 10 minutes she will start to hurt. This is guaranteed to bring the mind back from dreams to reality. A pain feedback system will teach anyone to concentrate on breathing. It takes the first 3 days or 30 hours of practice. With today's article we want to address future spouses; did you find your partner? Are you ready to ask her to stay by your side for the rest of her life? The proposal of marriage, it is generally up to you little boys and it is a moment to which a lot of girls give great importance, probably you will be freaking out in finding an original and nice idea to ask for the hand of your companion, to make that moment indelible in your memories and why not, surprise her even a little. Remember that the most important thing about the marriage proposal will not only be the sentence you say but also the way in which you will present yourself and above all the place where you will be will have their not insignificant relevance, ah ... and obviously also the final answer will be very important! 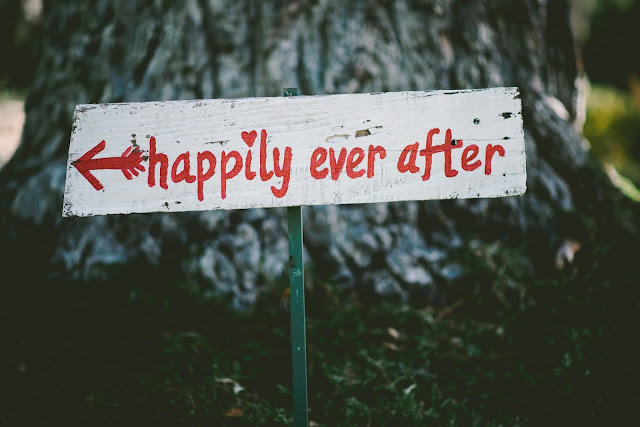 A piece of very first and indispensable advice that we feel we can give you is that the marriage proposal that you decide to "stage" must respect yourself and, above all, the story you are experiencing. Not all people love blatant or excessively romantic gestures, so consider how to act according to the tastes of your partner. 1. If you are very keen on tradition or otherwise, it would be very important for your partner that you respected her, you could ask the girl's hand to her family (usually her father), maybe during a dinner where you will all be together for a particular occasion, such as Christmas, after which make the declaration and continue the celebrations with the whole family. 2. For a little romance and simplicity, organize a nice dinner and at the end of it give your partner three roses and, handing them one at a time, explain the meaning to her: "This rose represents our past, this is our present and this 'last (to which you have previously attached a leaflet with the inscription "Do you want to marry me?" or insert the ring in the bud) represents our future ... Do you want to become my wife? ". 3. Take advantage of your partner's absence from home to implement your plan; begin to sprinkle the floor with petals, place a few candles here and there and maybe some post-it notes that one after the other could go to compose your declaration of love up to directing the girl towards a specific room, whether it is the room filled with balloons and with a heart of petals on the bed or the bathroom, in which you have created a splendid atmosphere with the tub filled with water and rose petals, this is up to you to decide. The important thing is that in those rooms you will have to be there waiting for her with the engagement ring or you will have her find the small casket of the ring with the last post-it with the words: "Do you want to marry me?". Surely it is a very romantic choice but the important thing will be to make it, even more, your own by creating the right atmosphere, so why not also select background music and make sure it starts once you enter the door? You will surely be able to surprise her even more and make it more exciting. 4. If the romantic the effect is what you want to achieve, organize a walk on the beach, perhaps even as the sun is about to set; suddenly stop, draw a heart on the ground with your initials in it, kneel and looking into her eyes, ask her to marry you. 5. If you are a photo lover and you have so many together to remember all the moments you shared, you can decide to cover a wall in your home by creating a great heart with your images and maybe under each add a romantic phrase or a poem; then place your largest photograph in the center of the heart and behind it the phrase "Do you want to marry me?" 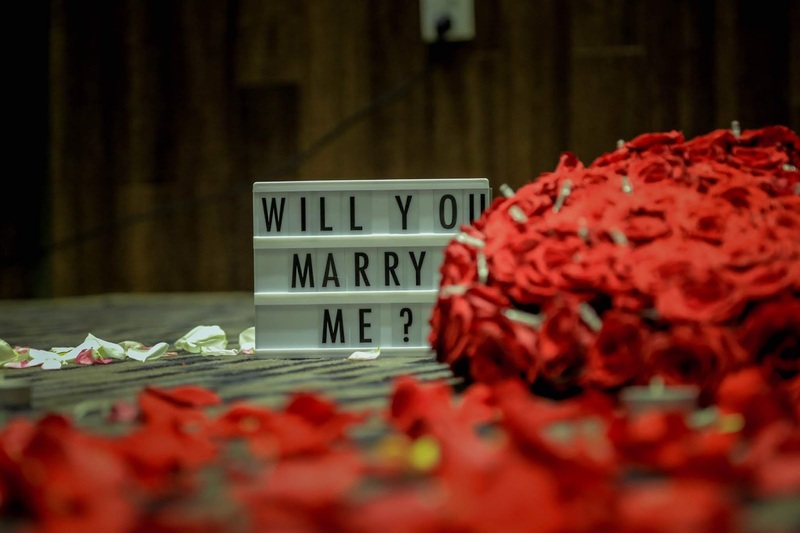 Each image will generate wonderfully memories of moments that you will always carry with you, which is why such a proposal could be very, very exciting. 6. An idea always linked to photographs, could be to create a book in which you will insert some images that go to describe each year you spent together, leafing through it, giving your partner the opportunity to relive the most beautiful stages of your history until to get to the last page of the book where you could insert the photo of a ring or actually insert it, accompanied by the words "Do you want to marry me?". 7. You could go to a photographer and have a picture taken with the engagement ring in hand and then have it transformed by him into a puzzle that you will give to your partner; let go of the last pieces relating to your hands and the ring, so, when she finishes the image, she will be really amazed; then complete everything with a real proposal at the moment. 8. If you want to surprise her, you could have someone take you to one of those machines that do the passport photos and while she is out waiting for you, you could take pictures with the ring box in her hand or with a sign with your declaration of love and the phrase "Do you want to marry me? ", Waiting for her reaction when she sees the printed photos come out. PS: If once you open the curtain you won't find it out there anymore, it will mean that the answer would have been negative anyway. 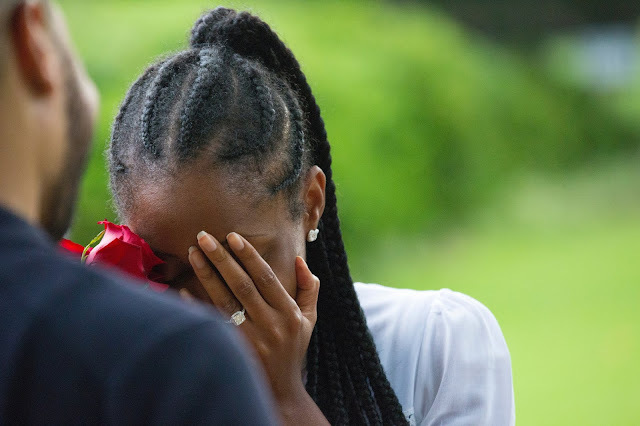 Or get together in the cabin to take pictures and at some point, while the car starts shooting, take out the ring and make your proposal; it will be nice to capture his reaction with a very first photograph. 9. Make the ring freeze inside an ice cube and during a dinner place it inside its glass together with other cubes, then add the drink and wait for her to discover the ring, after which you are ready to kneel and ask her to marry. 10. From a trusted bakery, you could ask to create some fortune cookies in which you will insert your ring and a small note. Then organize a romantic dinner and at the moment of dessert put the fortune cookie on the plate when it opens it will be really unexpected. 11. With the help of some of your friends or family, you could organize a sort of treasure hunt for your partner, which will lead you to step by step. To do this you will have to create cards in which you will be written from time to time precise directions to follow and will guide you towards the discovery of the subsequent tickets, up to the final one that will reveal the exact point of the surprise, where you will find it waiting for you on your knees with the ring in your hands and ready to ask her to marry you. You can set up this treasure hunt where you want it, start it from the girl's home and end it may be in a very important place for you, such as the place where you gave yourself the first kiss or where you first saw each other; this will give a further and exciting meaning to the whole. 12. Always in the wake of the "game", you could create a crossword, puzzle or other page and make sure that it has the phrase "Will You Marry Me?" Or "Do you want to marry me?" And if you are passionate about boxed games as for example Scarabeo, make sure that your partner draws the letters to form one of those two questions or train it yourself inserting also the ring that you will donate them. 13. Agree with the company that creates fireworks and take your partner out to dinner; in the restaurant book a table on the terrace that allows you to admire the fireworks that your partner will believe to be completely unplanned and above all not destined for her until you begin to make the marriage proposal to her and you will not put on kneeling before her with the ring box open in your hands. 14. If you like a movie gestures, take your partner to see a sports match, a basketball game, soccer the match, etc ... and during the break, make sure that the cameras take you partner back to the big screen at that moment kneel down and, handing him a ring, ask her to become your wife. Isaac and his girlfriend Beth. He, actor and choreographer, decided to organize an exhibition in which he involved friends and relatives. A real musical of the success of Bruno Mars "Marry you". Undoubtedly the ideas we have given you will require more or less all a minimum of organization but the surprise that they will generate in your partner will be priceless. Get to know about Meditation Spirituality Health Fitness Relationships Facts Insurance and many more Entertaining Topics. Explore Now.